It was 30 years ago that Mr. Snuffleupagus stopped being the urban legend of "Sesame Street." 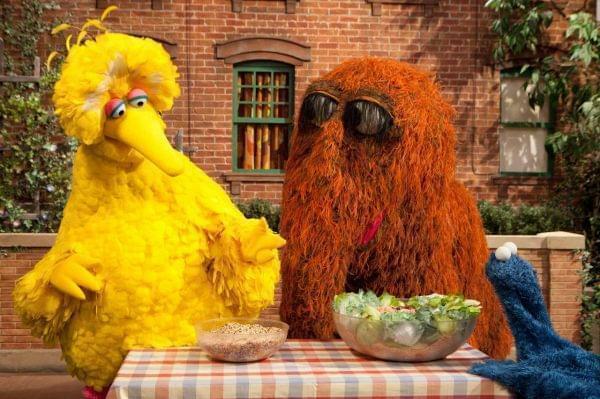 Mental Floss has posted an oral history of Sesame Street’s Mr. Snuffleupagus, the elephantine Muppet who for 14 years was Big Bird’s not-so-imaginary friend until his public unveiling 30 years ago this month. In the article, the show’s creative staff talks about the recurring gag in which “Snuffy,” despite being roughly the size of a Ford Festiva, always managed to amble just out of view every time an adult entered the scene. They go on to explain the behind-the-scenes discussions that went into his eventual reveal. Sesame’s executive producer, Carol-Lynn Parente is quoted as saying, “All this was really stemming from a specific set of incidences in the news, claims of sexual abuse going on in some daycare centers, and kids being questioned about what was going on. The fear was that if we represented adults not believing what kids said, they might not be motivated to tell the truth.” Given the timing, I’m presuming that this may be a reference to the infamous “McMartin preschool trial,” part of an early '80s wave of hysteria alleging child abuse and Satanic rituals at daycare centers across the U.S..
Whatever the reason, I know that I was relieved when Snuffleupagus went public in 1985, despite my having aged out of the target audience by a good 16 years. Because, quite frankly, even as a child that “joke” upset me. Honestly, I was annoyed with Snuffy himself. “How good of a friend can he be,” I thought, “when he keeps walking away?” Did he really have pressing snuffling business elsewhere? Didn’t he realize that he was responsible for the rest of Bird's friends believing him to be delusional. Okay, so I was a troubled kid. Still, I am glad to live in a world in which a Snuffleupagus can be out and proud.